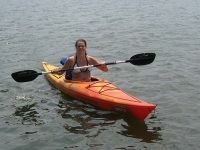 Boat rentals in PA. Find places where you can rent a boat in PA. Pensylvania Boat rental guide. One of the Best Marinas in the US! Located on Raystown Lake in the beautiful Allegheny Mountains, Seven Points Marina was recently voted by Marina Dock Age Magazine as their Marina of the Year, making them #1 in the nation! Their daily rentals are reasonably priced, and allow you the opportunity to explore the beautiful waters of Raystown Lake with your friends, loved ones, and family. 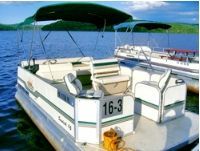 Their popular Ski Pontoon boats fit 8 people with a 90 horsepower engine; their fishing skiffs are smaller fitting 4 people at 10 horsepower, for a relaxing day on the lake. No matter which boat you decide on, they guarantee that you'll be impressed by the size and quality of their marina, along with the majesty of the natural waters of Pennsylvania. Boat rentals in PA are their specialty! Pat's Boat Rental offers service and quality you'll get almost nowhere else when trying to rent a boat in Pennsylvania! They will deliver any of their boats anywhere! If you're at the water-they'll come to you. If you want to tow your boat the rest of the way, they'll meet you and help you rig it up. They're dedicated to making your boat rental the easiest experience you've ever had! Plus they have a great selection! 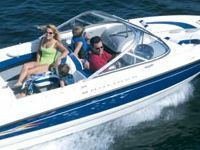 Their 2004 Monterey Edge, for example, they bill as perfect for "water skiing, wake-boarding, and tubing" and any water-sport you can think of! Check their website for complete details, and to check out their fleet! You won't regret renting from Pat's Boat Rental! 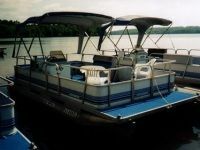 Boat Rentals on Lake Wallenpaupack! Rubber Duckie bills itself as "#1 on Lake Wallenpaupack" for their quality, service, and selection of rental boats. 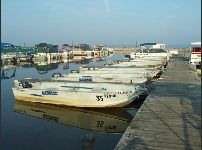 They have boats for any occasion and any group visiting the lake! Their ski and pleasure boats are longer, faster models that you'll love to take for a spin around the lake. If you're looking for something a bit slower and family friendly, why not rent a pontoon? They have sailboats for the skilled, and even fishing boats for the more relaxed visitors- and that's just a start! You won't find quality like this anywhere else on Lake Wallenpaupack! They promise you'll receive "all proper safety equipment with each rental!" Your family and friends will love Rubber Duckie; they're a great place to rent a boat in Pennsylvania! 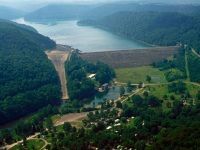 Yough Lake Marina has been operating on the Youghiogheny River Lake since 1969, and in that time has been providing premium dock space, as well as fun boat rentals, to one of Pennsylvania's best natural attractions. In addition to rentals, they also offer docking services and repairs for your boat! If you are looking to rent, you'll find that they have just the right boat to fit your needs. Their 2007 Sedona Pontoons and 2008 Suntrackers each carry 8-12 passengers, so you can bring your family friends along with you as you explore the natural beauty of the lake. Boat rentals are all day (9-5) and cover the cost of oil and gas! Yough lake Marina is a premium spot for boat rentals in Pennsylvania! Lake Nockamixon at Nockamixon State Park is a great place to rent a boat and relax for the day, and Nockamixon Boat Rental makes it easy for you! Their pontoons are perfect for taking your friends and family on a little cruise around the lake, or if you're up for some fishing, you can take out a 14-foot rowboat! Their boats are safe for all ages, and Nockamixon Boat Rental will make sure that you have everything you need to make your trip out on the lake a success. Boat rentals in Pennsylvania state parks don't have to be a hassle, so try Nockamixon Boat Rental, and let them do the work for you! Rentals on Lake Pymauning Lake! Espyville Marina & Causeway Boat Livery on Pymatuning Lake is a one-stop shop for everything you need to enjoy a relaxing day out on the water. In addition to fine boat rentals, they also provide food, fishing line, bait and tackle, gas, camping supplies, and storage services. You'll love their impressive fleet of boats for rent! If you're looking to a rent a boat in PA, then you came to the right place! They have: pontoons for the whole family, motorboats, and row boats and canoes. Espyville has reasonable rates, and great packages to make your next rental fun and easy! See A Whole New Pittsburgh! Rush Hour Boat Charters offers you a chance to explore the beauty of Pittsburgh by seeing the city from the vantage point of the three rivers that run through its heart. You'll love their "personalized boat tours" as they take you around those parts of the city that you love the best, or maybe haven't seen. These tours are great to unwind in the evening, or explore for a Sunday! Their rates are more than reasonable; this is the kind of service you won't find anywhere else. Contact Captain Bob, or visit the website for information. This is a boat rental you won't forget! Marsh Creek Boat Rental, located on Marsh Creek Lake, bills itself as offering "the finest rental equipment and service found at any recreational venue." There's only one way to find out! 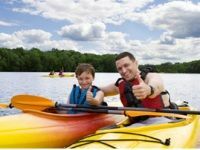 Why not give them a try the next time you're planning a boat rental, and see if they don't offer you high-quality equipment at a reasonable rate so you can explore the waters of Marsh Creek Lake for yourself! The boating season starts in April and closes in October. Don't miss your chance to take out one of their fine fishing boats or sail craft! Give them a call for more details about rates, or visit their website. You won't be disappointed! Check out their 150 HP Hurricane! Port Erie Sports makes it easy to explore the famous sparkling waters of Lake Erie by offering hassle-free boat rental that's great for the whole family. You'll find that all their boats for rent are safe and spacious. You can rent their smallest model, a 14' Aluminum Boat that seats 5 (great for beginners), or you can rent the 150 HP Hurricane that seats up to 13 so you can bring everyone out for a cruise! Port Erie's boat rentals are always reasonably priced, and they want to make sure that your next venture out onto the water is as safe and fun as it can possibly be. Check out their website for full details, and think of them the next time you want to rent a boat in PA! 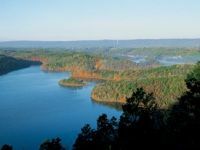 Lake Arthur, at Moraine State Park is a beautiful, man-made lake, perfect for a day out on the water with friends and family; Crescent Bay Marine wants to make that day possible by renting you a great boat to suit your needs at a reasonable price. Their fleet is large enough to accommodate anyone: they have pontoons, runabouts, tillers, and paddle-boats! Crescent Bay wants to put together a rental package for you that's fair and affordable: "Life preservers and your first tank of fuel are included with your purchase." Don't visit Moraine State park without exploring he waters of Lake Arthur for yourself! Visit their website for more information.